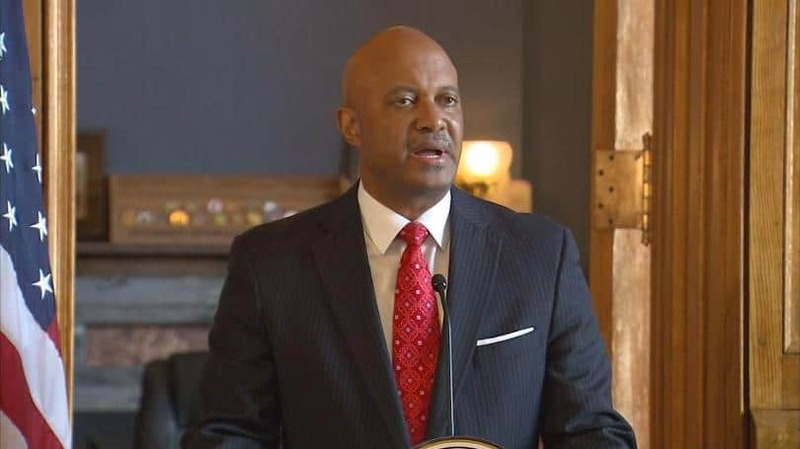 Legislative Republicans are not going to take any action on a proposal that aims to make it easier to remove some state officeholders from their positions, which was filed by an Indiana legislator who says she was groped by state Attorney General Curtis Hill. A House committee chairman said Tuesday that he wouldn’t call the bill for a hearing before a deadline for action next week. Leaders of the Republican-dominated Legislature have already said they plan no action against Hill despite calls for his resignation from Gov. Eric Holcomb and other state officials. Democratic Rep. Mara Candelaria Reardon of Munster filed the proposal a month ago to create a 12-member oversight commission with the power to oust the attorney general for sexual misconduct. In October, a special prosecutor declined to pursue any criminal charges against Hill, despite a state report that witnesses said he inappropriately touched Candelaria Reardon and three female legislative staffers in March during a party at an Indianapolis bar to celebrate the end of the legislative session. Hill has denied the allegations. Republican Rep. Kevin Mahan of Hartford City, chairman of the House government committee, said now isn’t the time to consider the bill while Hill still faces a possible lawsuit over the allegations. “I think we just need to see where all this is going to fall out under the unfortunate circumstances that exist,” Mahan said. Candelaria Reardon’s proposal followed questions about the Legislature’s authority to impeach and remove the attorney general from office since the position was created under state law and not included in the Indiana Constitution. Her proposal would give the oversight commission such authority over the state’s attorney general and the schools superintendent, the other statewide office not listed in the constitution. Democratic Rep. Ed DeLaney of Indianapolis said he’s preparing an impeachment motion for the House to consider but might, instead, seek legislative censure of Hill. Candelaria Reardon, who was absent Tuesday from the Statehouse, didn’t immediately respond to a request for comment made through the law firm representing her and the other women in a tort claim filed against the state before a possible lawsuit. Hill has largely remained out of the public eye in the Statehouse since holding a news conference shortly after the allegations became public in July, calling them “vicious and false.” He didn’t respond to questions about whether he was calling the women liars. Hill’s office didn’t immediately reply Tuesday to a request for comment on Candelaria Reardon’s proposal or DeLaney’s remarks. Mahan said lawmakers might need to consider the process for removing an attorney general from office.